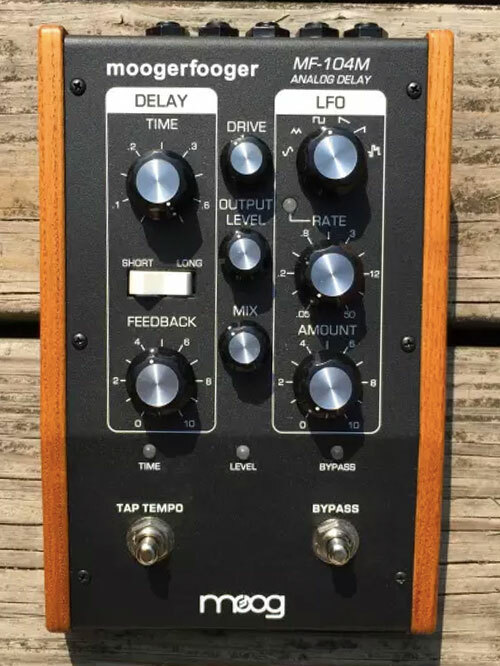 Since the release of the original MF-104, Moog Moogerfooger delay pedals have earned a spot as some of the most highly sought-after and celebrated delay machines ever produced. 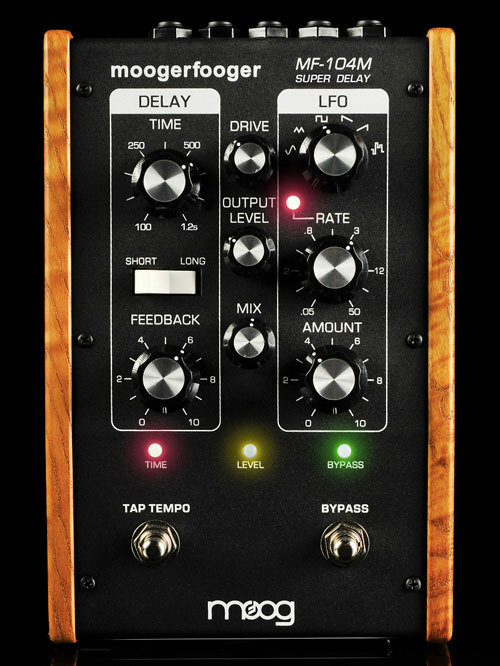 Most recently, the sound wizards at Moog have brought the smaller format MF Delay Minifooger to the table which follows in the footsteps of the larger format effects. The MF Delay is, in essence, the little brother to the 104 series with a more pedalboard-friendly enclosure size and more player-friendly price tag. Starting with the circuitry of the current MF-104M (while using different NOS Panasonic chips), the MF Delay strips it down to the essentials by offering the classic Moog delay sound, 700 milliseconds of delay, and expression control for delay time or feedback amount. Take a look at the video above as we shootout the larger format MF-104M Delay with the upstart MF Delay Minifooger. 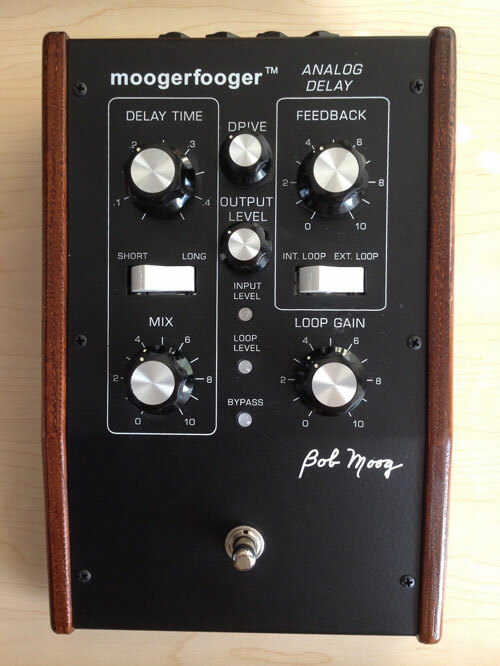 The Moog 104 series has transformed over the years going back to the MF-104, the original, limited edition Moog delay. Initially released in 2000 and totally sold out by 2001, this first run of the 104 series is most recognizable by the Bob Moog signature logo on the chassis. Only 1000 units of the original 800 millisecond delay pedal 104 were ever sold. In 2005, Moog reissued the 104 as the MF-104Z in a non-limited production run. The pedals were almost identical to the original save for the MF-104Z having an even second of delay time. After a time, Moog released a spillover mod for these pedals that allowed them to function as stock, and also allowed the repeats to continue trailing while in bypass. Also released in 2005 was the limited edition Super Delay, or MF-104SD. 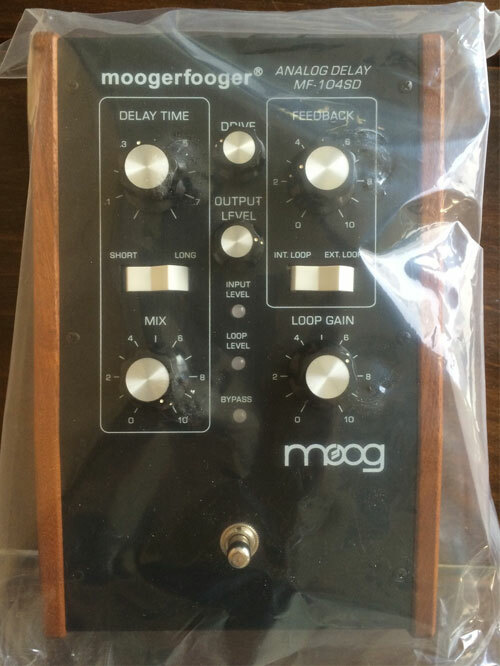 This was a special run in which Moog increased the number of chips within the pedal by 50%, resulting in an impressive 1.2 seconds of delay time. This was an extremely special run, and only 250 units were ever sold. The most recent iteration before the Minifooger MF Delay was the MF-104M, which remains the current larger format model in production. The MF-104M built off its predecessors, adding a multitude of new features and refining qualities from previous models. New features included tap tempo, modulation controls, delay trails, as well as LFO and MIDI control over most parameters. The 104M mirrors the original 104 with its 800 milliseconds of delay time, but the tap tempo can push delay time past that, albeit with more clock noise and lower quality repeats. 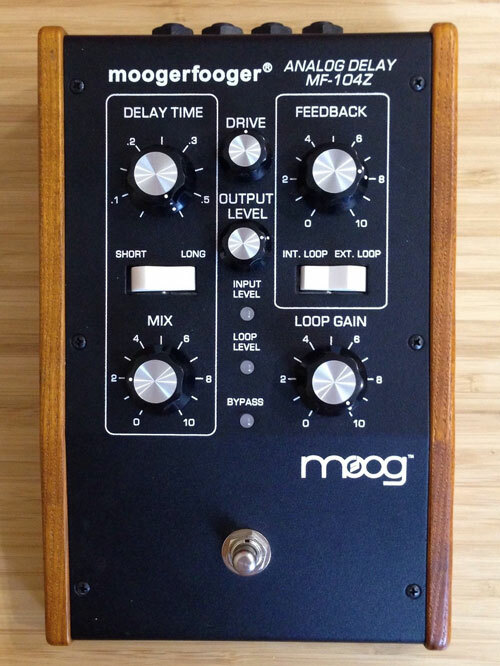 Of course, in keeping with the theme, Moog released another special run of their flagship delay with a new Super Delay pedal: the MF-104MSD. This edition increased the BBD chip count by two and the delay time to 1.2 seconds. Though not as limited as the first Super Delay run, only 500 units of the MF-104MSD were manufactured. 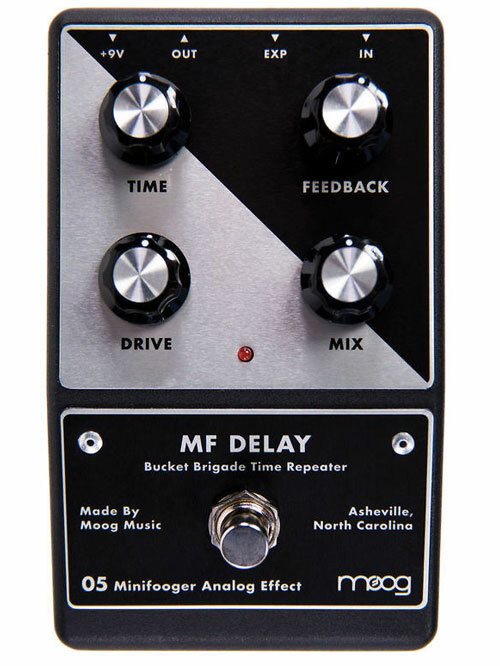 This brings us up to date, with the newly released MF-Delay. The only question is: how does this smaller pedal stack up against its larger predecessors? Watch the video, decide for yourself, and let us know what you think in the comments.